Looking for something exciting to do during Spring Break? 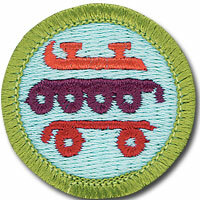 Come and join your fellow Scouts at Wilmington Ice House for the Skating Merit Badge Class. Instructors will be on hand to help you learn how to become an ice skater. Scouts will receive a merit badge book, worksheet, blue card, ice skate rental and admission.